Flower Necklace with gold coated silver pieces made with filigree technique. 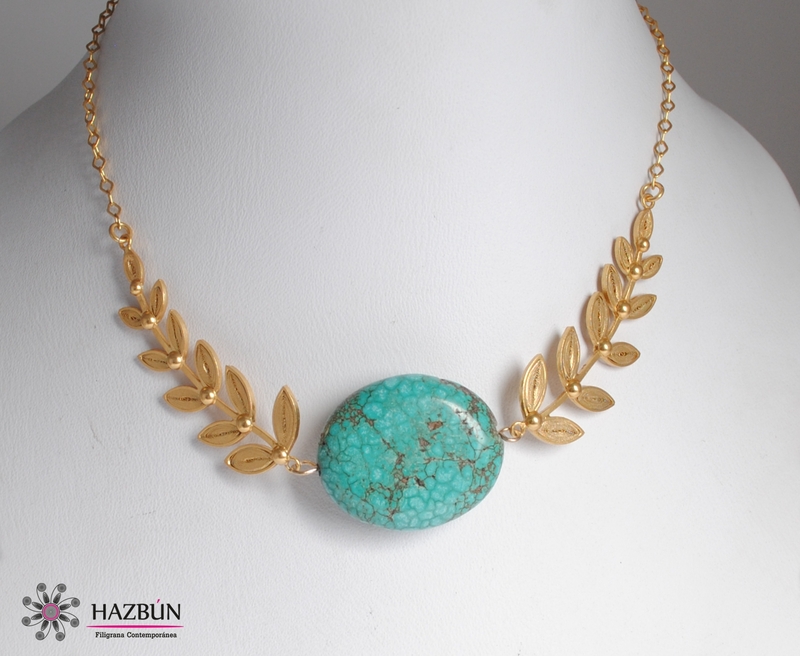 Natural Turquoise stone pendant. Lenght 42cm + 7cm extra.